What a night we enjoyed last evening at the Morton H. Meyerson Symphony Center! 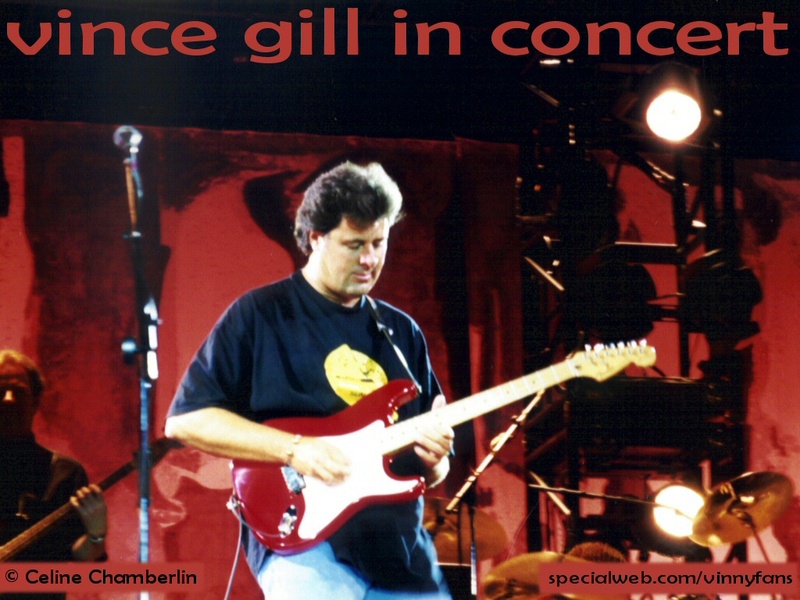 Vince Gill mixed his great, romantic oldies with many new songs from his truly amazing 4-CD boxed set that he's titled "These Days," a tune he wrote for his wife, Amy Grant. Tarradell summed up the night from an artistic perspective, "The crowd roared its approval. If everybody in that venue doesn't go out and buy a copy of These Days, then nothing else can sell that package. This show was way better than any music video." Before Vince took to the stage during A Night to Remember 2006, we honored Jim and Betsy Sowell with the Hazel E. Brown Community Partner Award. Miss Hazel served Central Dallas Ministries up until her death almost three years ago. She was almost 90-years-old. The tribute named in her honor seeks to spotlight the work, contribution and commitment of our partners who have made a lasting difference in our work and in our community. Thanks to the Sowells' vision and personal commitment, Central Dallas Ministries was founded in 1988 with the help of the good folks at the Preston Road Church of Christ. Jim and Betsy have continued to support, guide and help underwrite the work we attempt in inner city Dallas. Long-time community activist, CDM Board member and recipient of last year's award, Charlie Mae Ranson helped present the award to the Sowells. Jeremy Wheeler, a young Lincoln High School graduate, who the Sowells sent to Texas Tech University, where he graduated in 2005, shared the story of his amazing experience with the generous couple. The tribute to the Sowells concluded when CDM Board Chair, Dave Shipley announced the formation of the James E. and Elizabeth Sowell Inner City Scholarship Fund. An anonymous donor created the tribute fund with a beginning balance of $250,000 to be used exclusively for helping low-income, inner city students go on to college. No doubt the fund will grow from this amazing beginning! Jim and Betsy Sowell exemplify the power and importance of servant-hearted people who desire to make a difference in the lives of others. The Sowells weren't comfortable with being the center of attention, but all of us felt like this tribute was long overdue. If I didn't feel as if I were being unduly invasive, I would carry a camera everywhere I go to capture what I see day after day. Dan Hopkins, my jogging buddy, and I decided on Starbucks instead of a run at White Rock Lake. No reason to bore anyone with our excuses. Let's just say they seemed reasonable at the time! As we sat outside drinking our coffee, playing with Sophie, Dan's dog, and talking about this and that, I saw a man approaching whom I had spotted many times before in the neighborhood. I tried not to stare as I watched him out of the corner of my eye. He walked toward us, stopping about 30 feet from our table. His matted hair and filthy clothes told me that he lived on the street. He smoked a cigarette on a long holder. He carried on a conversation with himself, debating whether or not and how to approach us. Finally, mustering all of his courage, he strided toward us and walked past to the other end of the block. After awhile he walked back past us. Dan nonchalantly said, "Good morning." I love this about Hopkins! He resumed his first position down the sidewalk and watched people come and go from Starbucks. Finally, as one man stepped out of a car very near where we were sitting, I heard him literally screech out a plaintive, "Change? Pocket change?" When the man he cried out to did not respond, our friend walked away across the parking lot and out of sight. Arriving at our headquarters later in the morning, I spoke to a young man who was assisting an older lady out of her car. I greeted them as he helped her toward the front door. She walked with a cane. Both appeared happy and eager. Both greeted me with large smiles, asking how my weekend had been. Around lunch time I returned to my office after a run Downtown to meet with a supporter and to check things out at the Meyerson Symphony Center where Vince Gill will play this evening. From one end of the street a young mother approached. She carried an infant in her arms. A little boy about 3-years-old walked at her side. No doubt she was coming our way for groceries. I wondered to myself about the details of her life and what the rest of this day would bring her way. From the other end of the street an Asian woman on a bicycle rode up. She was coming to seek help with food as well. Her face looked remarkably blank, almost vacant to me. I hoped to myself on her behalf that we could do more than normal for her. The Resource Center was packed again today with people from everywhere. The need grows. The dilemmas facing people can be ignored or dismissed only to our collective harm. Snapshots. . .brief and tiny windows into the reality of inner city Dallas. Vince Gill has just released These Days, a 4-CD collection of 43 new songs, many recorded with other great artists like LeAnn Rimes, Patty Loveless, John Anderson, Sheryl Corw, Phil Everly, Alison Krauss, Rodney Crowell, Lee Ann Womack, Bonnie Raitt and Trisha Yearwood. Fewer than 150 tickets remain for Gill's concert appearance Monday night, October 30 at the Morton H. Meyerson Symphony Center here in Dallas. The concert benefits Central Dallas Ministries and will be a sell out by performance time at 8:00 p.m. Walk up to the Meyerson ticket office Monday evening and join us for this great performance! You will be glad you did, I promise! The Gospel reading in church this morning was Mark 10:17-31--the story of the rich man who approached Jesus to ask what he needed to do to "inherit eternal life." "Go, sell everything you have and give to the poor, and you will have treasure in heaven. Then come, follow me." Challenging words to a man who possessed "great wealth." The man's face fell and he went away in a deep funk because he found the requirement too onerous to fulfill or even pursue. Jesus went on to instruct those who were with him regarding "how hard it is for the rich to enter the kingdom of God." In fact, he told them that it was "easier for a camel to go through the eye of a needle than for a rich man to enter the kingdom of God." Those who were with him were amazed, likely alarmed, and concluded that if this were the case no one could be "saved." Jesus went on to tell them that "With man this is impossible, but not with God; all things are possible with God." Bottom line: it takes an act of God to save a rich person such as myself in a world of hurt and need like this one! I guess that is the meaning of the gospel. That said, it is very, very clear that Jesus expects people who attach themselves to his name to be radically engaged in working with the poor, those in need and those who are oppressed. I am wondering though. Have you ever known anyone who took this story so seriously that they did what Jesus suggests here? Ever know anyone who sold out, gave to the poor and entered on a more radical path through life? I'd love to hear your stories. 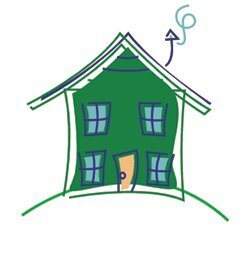 "Help us paint a house green" or a new push toward year's end! Several weeks ago I threw out the really aggressive, marginally insane challenge to this blog community to help me raise $100,000 by October 31, 2006. You will be able to revisit the details of the challenge by clicking on the "Read More" and "Donate Now" thumbnails in the little neighborhood of green homes that you'll see near the upper right hand corner of this page. For every $1,000 donated we painted one of our houses green! We are moving in on our deadline date. So far, readers here have donated $20,500! As you see, we have painted 20 homes thanks to your generosity. Gifts have come from across the United States! We are most grateful. Yes, we are far from our original, insane goal to paint 100 houses green. But, we enjoyed the effort, appreciate the donations and look forward to continuing to attempt to raise the money to paint the rest of the neighborhood by year's end! You will recall that these dollars were earmarked for our CityWalk @ Akard Downtown housing effort and for food supplies for our large Resource Center here in inner city Dallas. Both efforts are moving forward, but we still need the funds! 1) Send Central Dallas Ministries a donation today either by check to Larry James Urban Daily, c/o Central Dallas Ministries, P. O. Box 710385, Dallas, TX 75371-0385 or by donating on-line at www.centraldallasministries.org. 2) Forward this appeal to at least ten of your friends--the more the better! 3) Keep our work in your thoughts and prayers. I'll keep you posted on our progress as we move toward December 31, 2006, our new target date! I like to start with the bad news myself: we were unable to close today on the acquisition of 511 N. Akard. That was a disappointment to us. But, here is the good news: we received a two-week extension on our deal and we feel that we will be able to close two weeks from today! I am learning the hard way that these deals are extremely complex. I wanted to provide an update here because so many of you had asked and were concerned. Thanks for your support. Hopefully, we will have more good news to share in a couple of weeks. My friend and "little green house" owner (see top right of this page! ), Charles McGonigal pulled together some helpful information on the race for governor in Texas. I thought I'd take his cue and pass along some of what he shared with his friends. As Charles pointed out in his email blast to friends, this is a critical gubernatorial race for Texas that actually offers some differences among the four candidates. If you live elsewhere and there is a race for governor in your state, you may find yourself facing a similar choice. I hope you will dig in and investigate the candidates before casting your vote. Here's an interesting assignment: review these web addresses and see if you can tell what the candidates think about the challenges facing low-income Texans. Where do they line up on the Children's Health Insurance Program (CHIP), public education, Medicaid funding and other matters that directly touch the poor in our state? Even better, what can you glean, if anything, here regarding their plans once elected? By the way: help us completely sell out the Meyerson Symphony Center next Monday evening, October 30 for our concert with Vince Gill! You have until noon today to buy tickets on-line at www.ticketweb.com! Check out our After School Academy blog at http://www.ourasafamily.blogspot.com/. Janet Morrison and a group of her "partners" created the blog so that students, parents and volunteers could express their ideas, opinions, impressions and feelings about the ASA and lots of other things! The children and families who live at Turner Courts, a public housing development in one of the poorest and toughest neigborhoods in Dallas, are amazing people. Their words are worth your attention! Drop in and post a comment. Your presence will keep them writing! Wyatt James Toombs is my middle grandchild, my oldest grandson and a great little buddy! I snapped this more than "close up" of him while the two of us were out back in my garage "buildin'" and "fixin" stuff. I love these times with my grandchildren. Of course, we had found the time to take a break or two for a cookie snack (note the condition of Wyatt's mouth--clear evidence of our mutual love of cookies!). 2) the future all of these children will face and with which they will have to deal. Both thought tracks tend to sober me up. No one has ever had sweeter, better, more wonderful grand kids than me! As soon as I feel or say something like that, I know that I've lost my crazy, grand dad mind again. That assessment is both completely true, at least for me, and completely false, if I am talking to you and you are a grandparent too! The grander truth is simply that every child is a treasure worthy of our best efforts at crafting a better and more wonderful world today. The future is important because of the sacred nature of every life. People matter more than anything else. What we do today, those battles we fight and those issues we address, will largely determine the kind of world our little ones inherit from us. Wyatt, Gracie and, now, little Owen force these important thoughts on my heart, mind and soul. Lots to live for here and out your way as well. Data needed: if you are reading this post, take a moment and respond with at least one word--the name of the city, town, state or nation where you live. This coming Friday will be one of the very best days in the history of Central Dallas Ministries, or one of our worst. 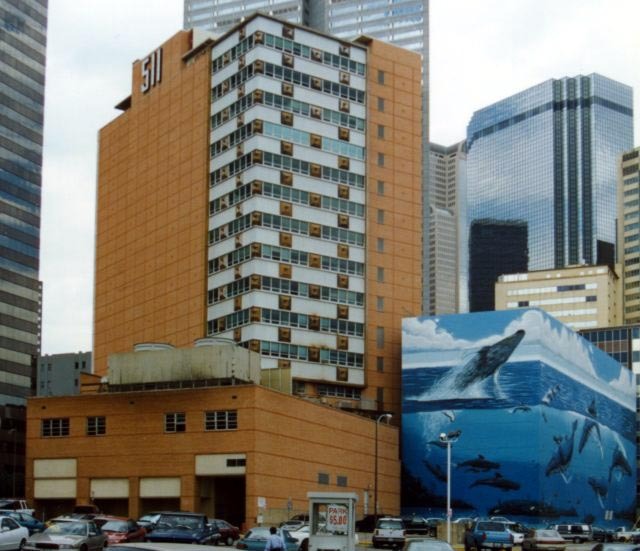 We are set to close on the acquisition of 511 N. Akard, the 15-story building that we are attempting to convert into 209, high quality, Downtown apartments. We refer to the project as CityWalk @Akard. Two hundred units will be affordable for working people, with 50 studio apartments of this group set aside for formerly homeless persons. Nine of the units will be market rate and a very attractive deal for persons who want to live in Downtown Dallas among a great new community of really wonderful people (Call me or email me if you are interested. I can assure you it will be the best deal Downtown!). We must close on Friday. We are set to close on Friday. To be honest, if we don't close on Friday, I'm not sure what will happen. So, we are working hard and believing that everything will go as planned. But, it is still a time of high stress and anxiety for us all. We have worked so very hard to get to this point. We realize that after we close on the acquisition there will still be lots of hard work remaining. Still, this closing date functions as a deadline that is the most important part of the transaction besides our being awarded the low-income, housing tax credit allocation back in July. I tell you all of this because I know that people who drop in here also care. And, many of you pray! So, as you do, remember our project between now and Friday. These photos let you see the outside and the inside of the building. I love the shot of the 14th floor (above left) that has been through the hazardous materials abatement process. It is such an open, usable space. 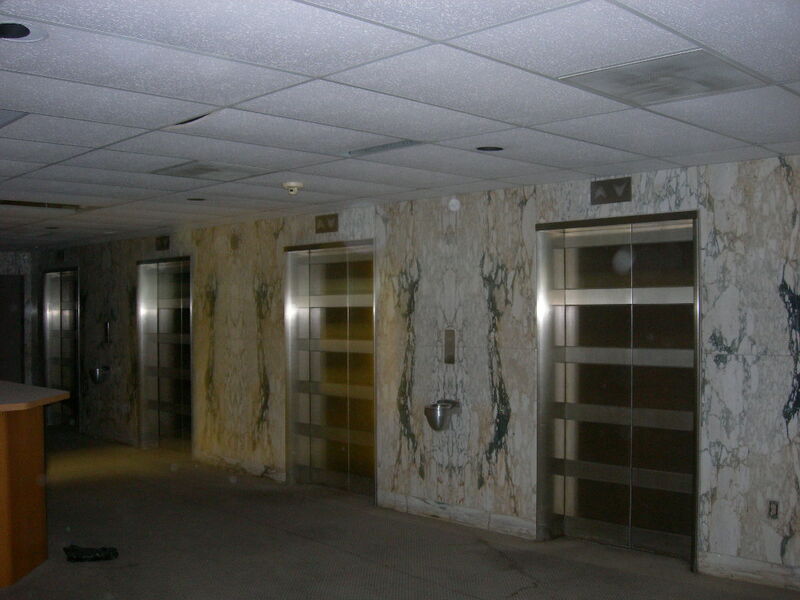 And, how about the elevators? They, along with the beautiful marble, will be preserved in accord with our historic tax credit plan. The roof will be completely redone. Two of the market units will have rooftop patios! The other half of the roof deck will be reserved for community and residents' events, complete with a clubhouse and great kitchen space. This will be a Downtown jewel. But, we have to close this Friday. Thanks in advance for caring with us! Most people don't agree with me, but I seldom turn away from a person on the street who asks me for money. I'm not patting myself on the back here. It may be better to walk or drive on by. I understand the reasoning of people who do not help panhandlers. My problem is I enjoy talking to people, and I feel really bad when I take an action that may communicate that I don't have time or don't want to talk or that I don't respect the person asking for my help. There are plenty of times when I don't provide money--lots of times I don't have any! And, there are times when I do move on without talking. That said, I talked to a gentleman at the corner of Peak and I-30 last Saturday. He stood there with a drinking glass that he held out to receive whatever donations those who stopped at the signal light might offer up. I rolled my window down and asked him if he wanted to get off the street? He laughed at me, not really knowing what I meant. 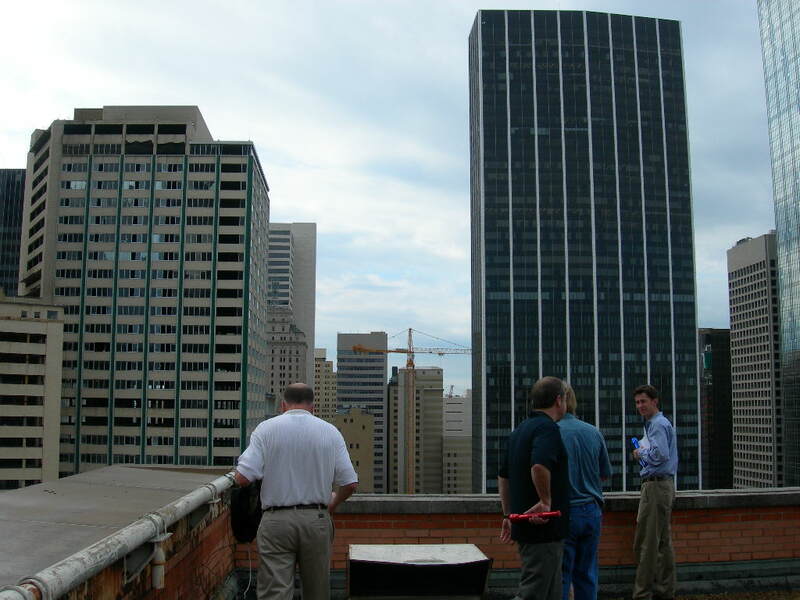 I went on to describe our downtown project, as well as our current ministry opportunities open to him. I told him that my office was very near by and that he would be welcome to stop by anytime. I gave him $5 and waved the driver behind me on around, as he set down on his horn. As we talked a little more, it hit me. This guy is such a waste. His decisions, for whatever reason, that led him to this terrible corner are not just killing him. They are killing me. "You need off this corner, man!" I told him. "That is my opinion," I went on without being asked to do so. "I respect your opinion, but you gotta see that we need you off this corner. We need you out here helping us make this a better place to live!" I challenged him. My words pulled him up a bit. His big smile flattened out. I know he got my message. I doubt he will do anything different with it, but then, who really knows? As I drove away, I realized why I usually stop and talk. The guy is worth it. He matters. He doesn't even believe that. If I didn't, I don't think I could keep doing what I do. Everyone has value. Some folks are just in the "burying" phase--taking their God-given talent and burying it in an ill-chosen hole. There are reasons why people take such action. 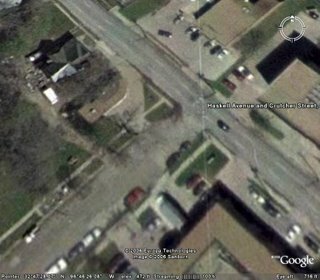 But that doesn't change the fact that my buddy on the corner is not just robbing himself, he is robbing me and my city. I need him to do better. We're all in this together. We are connected whether we like to admit it or not. Call me crazy if you like, but I'm going to keep talking to beggars. Yesterday, as I walked into the post office to mail a letter, my eye caught a large banner hanging over the main entrance. The message was printed boldly in Spanish and English. "Send money to Mexico here!" read the sign's cheerful invitation. "Compare fees," the offer challenged those who entered and who needed to send funds back home to family members living south of our border. A U. S. Government building offering financial services, for a small fee of course, to people needing to transfer assets to loved ones outside the United States. Most who use this service are undoubtedly undocumented. But, as with Social Security payments, our government won't turn away from potential collections or, in this case, customers. Anyone see an irony? A bit of hypocrisy? Maybe our leaders just need to hammer out a policy that is clear and fair for everyone? National Public Radio broadcast an interesting report yesterday on the decided advantage that children of the rich and powerful have when it comes to university admissions policies at may of the nation's prestigious, major universities. It seems that grades, class rank, creative essays and entrance exam scores aren't the only factors university admissions departments consider when deciding who gets in and who doesn't. And, these surprising policies go far beyond traditional legacy admissions. For students from rich families there is another important indicator: the "development score" or potential of the families of these upper class students. If a student comes from a rich, powerful or celebrity family with the ability to make significant contributions to the school in question, that student has a better chance of admission than a great student from a poorer family. Hmmm. Does this sound like another win for an emerging American aristocracy? Former Congressman John Bryant (D-TX) taught the Sunday School class I attended a couple of months ago. He talked with great clarity and acumen about "spiritual formation." He taught us from his personal experience. He has led groups of adults at his church over the past several years into and through a deeper understanding of what the process of spiritual seeking and growth actually means, looks like and results in. As I listened to John share his heart with the small class of about a dozen older adults, it occurred to me that I was listening to a thoroughly authentic human being for whom faith is vitally important. When he served in the U. S. Congress, representing the 5th Congressional District, his spiritual life worked its way out in the policy he attempted to shape. John's words and, even more, his life, make it very clear that the current popular perception regarding faith and political parties leaves much to be discussed. Christians, as well as devout people from other religious traditions, sit on both sides of the political aisle. We would all do well to remember this very obvious truth. Thanks to everyone who posted here, called or asked about my dad since his heart attack early Monday morning this week. We brought him home from the hospital early Thursday afternoon. Quite a turn around, wouldn't you say? Not so surprising to those of you who know him! He is doing as well as anyone could do who has been through something like this. 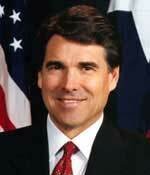 He received excellent care at Baylor Medical Center in Garland. Our current challenge is to convince him to take it easy and to rest. Thursday evening he was trying to wait on us! In the coming weeks there will be in-home physical therapy and follow up visits to his cardiologist. Dad will celebrate his 87th birthday in April. He is a blessing. We are very grateful today. Please keep him in your thoughts and prayers. And, thanks for caring for us. When poverty overwhelms large sections of a population, despair is inevitable and pervasive. The results are never positive. Ironically, despair often feeds faith of one kind or another, as impoverished persons typically retreat into faith to deal with their pain and hopelessness. Often such faith is pietistic, neutralizing much of the pain of poverty's oppression in hopeful resignation to one's situation in this life and in eager and focused anticipation of a better experience in the next life. If faith becomes radicalized, as it sometimes does, the results can be devastating to the larger community. Or, such faith can turn out to be positive and revolutionary depending on the circumstances surrounding the social and political context at any given time. This was the case in the late 1970s and through much of the 1980s in Central America among peasants who drew strength and inspiration from their faith, a faith that led them to demand land reform. Frequently, these demands turned violent and in almost every case the peasant revolts were crushed. Usually, these outbursts of popular will were spawned in an environment of faith in the midst of a faith community. Recently, National Geographic magazine (pages 33ff, September 2006) published Karen M. Kostyal's unusual (and somewhat unlikely for this journal) interview with Egyptian dentist and popular novelist, Alaa Al Aswany. Aswany's novel, The Yacoubian Building, has been a best seller for over two years and is currently being made into the most costly movie in Egypt's film history. The interview is fascinating and very instructive in light of current events around the world. One question and Aswany's reply relates to the role of radicalized faith in the lives of very poor people. Kostyal asks, "Where do you think the current fanaticism [in religion] is coming from?" Aswany answers, "Poor areas because the poor are desperate. The current regime here [in Egypt] is dealing with them in an inhuman way, arresting and torturing them. Religion is being used as a cover for social unrest, a way to empower these people who are not empowered. In Egypt, there is an Islam for the rich and an Islam for the poor. And these two Islams have their own mosques, their own sheikhs. The rich use religion to ensure the status quo. They don't want any change. But poor people do want change, because they are now deprived of so much." "Americans do not think of Islamism as an egalitarian social movement. However, the ideology of political Islam is permeated with egalitarian norms and sentiments, and Islamists are often animated by egalitarian resentments and anger as well. Islamists speak frequently about the injustices and exploitation inflicted by the rich West upon the poor Muslim world. "There is little evidence that Islamism has any appeal. . .among any peoples who are not already Muslim. But with the wretched of the Muslim world--and with many of the educated, the middle classes, and the simply aggrieved and frustrated as well--it is a very different story. At least for now, some version of Islamism is more appealing to them than any of the other alternatives, including the secular liberal democracy of the West. "Islamist terrorists may soon acquire weapons of mass destruction. With Islamist transnational networks, there is no obvious reason why they would not be willing, even eager, to use WMDs to bring the rich and the powerful--and the rich and powerful states--crashing down. Brimming over with egalitarian envy and self-righteous wrath, they will delight in doing so. "In the course of the 20th century, there were several eras of growing economic inequality. On a few occasions, they came to an end in a relatively gentle way, with democratic elections and more egalitarian legislation. "More often, however, they were ended by a catastrophe, such as the Great Depression, a violent social revolution or a world war. When the rich went out, it seems, they normally did so with a bang, and not with a whimper. The way things are now going, it is likely to be so in the future." Troubling words with a connection to America's urban centers. Much of the despair and destructive chaos we observe in our inner city neighborhoods can be linked to the increasing concentration of poverty in these urban areas. A kind of numbing hopelessness co-exists with aging church communities in the same neighborhoods. Angry young people have abandoned the churches. Gang activity, drug addiction and dealing, other organized criminal activity, violence and a general hedonism persists. Older church members hang on to faith while their church communities grow increasingly irrelevant in response to a culture's deepening despair. As the gap between rich and poor continues to widen nationally, the poverty stricken areas of urban America will only grow more volatile. Radical Islam organizes for jihad, but beneath the suicidal strategy is the reality of oppression and persistent, oppressive poverty and political disempowerment. The radicalization of urban, American Christianity, founded on a more substantive theology of human liberation, justice, hope and community, could become a positive, if at times a challenging and intimidating, force for change and political action. The alternatives for our urban areas appear to hold out rather bleak options for the poor--a choice between continuing dependence on a basically ineffective, other-worldly vision for liberation and the chaotic, divisive responses of an increasingly individualistic, materialistic culture surrendered to its own destruction and isolation in the ghetto. There is a lot more going on in the desperately poor communities of our nation than most people realize or want to admit. The dynamics of a worldwide struggle have much to teach us as we live and work in the urban centers of the U. S.
A number of people have asked about the coming mid-term elections and the responsibility of people of faith in the political process at this crucial moment in our nation's history. 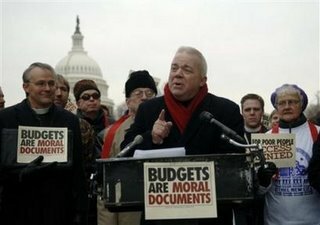 In the summer, Jim Wallis and Call to Renewal issued a comprehensive, non-partisan strategy for overcoming poverty in our nation, while taking worldwide poverty and hunger more seriously as a people. The result was "A Covenant for a New America." What follows here is a summation of the covenant and links to the key sites for learning more and for securing the materials you need to spread the word about this national movement of faith and justice. I'd love to hear your reactions to the materials. If you would like to receive information about how to join the "Covenant Campaign," just email me! Throughout the Bible, God shows a special concern for those in poverty and acts in history to lift them up. As Christians who are called to be the people of God, we share that concern. Our times call for a new moral and political will that merges personal and social responsibility, a commitment to reverse family breakdown, and a more honest assessment of both the individual decisions and social systems that trap people in poverty. Low-income families are too often stuck between liberal and conservative arguments, while neither political party has made the needs of poor families a top priority. Our country needs a new grand alliance between liberals and conservatives that makes overcoming poverty a nonpartisan agenda and a bipartisan cause. In a time when political and social issues threaten to divide the church, religious leaders from across the theological and political spectrum are building new common ground around a fundamental commitment to the most vulnerable who were such a special concern of Jesus. Children should not be poor. We also need specific and concrete commitments to brighter futures for our youngest and most vulnerable citizens. We will never end the cycle of poverty if we continue to allow lack of opportunity to be the formative aspect of a child's life. Our nation should develop and commit to a plan that reduces child poverty by half over 10 years. Extreme global poverty must end. The U.S. should support effective aid, good governance, just trade policies, and debt cancellation in order to lift billions of people out of extreme poverty. U.S. international development assistance should be increased by an additional one percent of the federal budget to honor our commitment to the Millennium Development Goals, designed to cut global poverty in half by the year 2015. Personal renewal and action,grounding ourselves in prayer and in the Word of God, and living under the call of Jesus to "bring good news to the poor" (Luke 4:18). Congregational renewal and engagement,serving and working alongside the poor in our cities and communities in the name of Christ and challenging local leaders and institutions to honor their needs. Societal renewal through the advocacy of voice and witness,holding our national political leaders accountable to seeking the common good for our nation and the world, for all our citizens, especially the most vulnerable. The Covenant for a New America was launched during Sojourners/Call to Renewal's Pentecost 2006: Building a Covenant for a New America mobilization on June 26-28 in Washington, D.C.
+ See what bipartisan Congressional leaders said during the launch. SOJOURNERS/CALL TO RENEWAL's mission is to articulate the biblical call to social justice, inspiring hope and building a movement to transform individuals, communities, the church, and the world. We work with a national network of churches, faith-based organizations, and individuals to overcome poverty in America. Tuesday morning at about 7:45 a.m. (CST) the big news of the day broke: the population of the United States hit 300,000,000! Every 7 seconds a baby is born in the U. S.
Every 13 seconds someone dies in the U. S.
Every 31 seconds an immigrant family welcomes a new child into the nation. Demographers tell us that the 300 millionth citizen of the U. S. was born in Los Angeles to Latino parents. I can remember when the U. S. population was something under 230 million. Yes, I am aging. But, the pace of growth is speeding up. When I think of 300 million people, the images in my mind are of cities, crowded, complex, challenging urban areas. It all causes me to wonder. Who is planning for the growth? Who is thinking about quality of life issues for the nation at such a scale? Which way are we headed a a people? Are we thinking about including everyone in a manner that results in positive outcomes? Or, are we retreating from one another, while making plans for advancing ourselves as individuals and families, rather than as a people, as communities and as a nation? Who has a vision large enough for the tasks ahead? Are there any national, state and local leaders up to the challenge of simply facing our reality? Finding those men and women would be a grand beginning, it seems to me. Several years ago, Curtis Meadows passed along a report about the need for exponential growth in Texas' plan for higher education. The report outlined the need for adding many more public universities and university systems the size of what already exist just to handle the population growth that everyone knew was coming. To fail in vision and planning and in mutual sacrifice is to guarantee the arrival of an urban America none of us will recognize or appreciate. Very early Monday morning Brenda's cell phone rang. It was a call from Jennifer, our oldest daughter. She called to tell us that our land line dropped every call into voice mail even before it rang. It was pouring rain at the time--our phone never seems to work whenever it rains in East Dallas. The issue was my dad. He woke up around 3:00 a.m. complaining of shortness of breath. My mom wisely called 911. Our dear friends, the Englishes who live across the street from my parents, came to her rescue when she was unable to reach us. Scotty followed the ambulance to the hospital. Ethelyn kept working at it until she reached Jennifer. Thanks to all the help, we arrived at the hospital a little after 5:00 a.m.
His cardiologist believes that one of his by-pass grafts from his surgery six years ago may have failed. Dad suffered no pain, just a build up of fluid in his lungs due to his heart underperforming its assigned task. After spending a day and a night in ICU, he seems to be stable and on the mend. Hopefully, adjusted medication and some rest will serve him well. He is 86-years-old. He has been in good health all of his life--with a few surgeries over the past several years that have successfully extended his life. Sitting in the ICU waiting room is always an experience. When it is because of someone you love, the experience rises to a different level. Lots of friends dropped by. Community rising up after an episode of ill health and a future that remains uncertain. Please join the community and pray for my dad. His name is Morris James. Minimum Wage Should Be Adjusted Upward--Now! 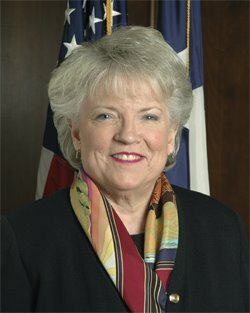 The Center for Public Policy Priorities (www.cppp.org) recently released a report on the status of workers in Texas who earn the minimum wage allowed by lay ("Why a Minimum Wage Increase Would be Good for Texas," October 11, 2006). What follows is a slightly edited version of this very challenging and helpful report. Hundreds of thousands of Texas workers earn the minimum wage ($5.15 an hour) or just slightly above. The minimum wage is a poverty wage. Someone working full time on the minimum wage and supporting just himself would only earn a pre-tax income of $10,712 a year. A minimum-wage worker trying to support his family would need to work multiple jobs and rely on significant public assistance, and even then probably wouldn’t make ends meet. Texas aligns its minimum wage with the federal minimum wage. At $5.15, the minimum wage has not been raised in nearly 10 years and has lost purchasing power due to inflation. Texas can—and should—raise its state minimum wage to at least $6.15 an hour. The minimum wage has lost significant ground to inflation: The purchasing power of the current minimum wage is plummeting . . . to its lowest level since 1955. Even with such work supports as the Earned Income Tax Credit (EITC), minimum wage earnings fall short of the poverty line. • According to an April 2006 Pew Charitable Trust national poll, 83% of the American public favors raising the minimum wage to $7.15 an hour, including 72% of Republicans and 91% of Democrats. • A higher minimum wage has been proven to boost productivity while minimizing employee turnover and absenteeism. In Texas, 523,000 workers—about 5% of total workforce—would be directly affected by an increase and would earn an average pay raise of $0.46 an hour. These workers currently earn less than $6.15 an hour. As the minimum wage floor is raised, another 543,000 workers currently earning above $6.15 an hour would be indirectly affected. The new floor would push their wages up an additional $0.23 an hour on average. • 56% of low-wage workers are employed full time. • More than 750,000 children live in households that would be affected by a minimum wage increase to $6.15 an hour. I have to say, it is far past time to raise the minimum wage across the U. S. A plan to lift the minimum by $2.00 over the next 3-5 years is most reasonable. Jim Wallis is a friend, not only to me, but also to Central Dallas Ministries. Twice he has visited Dallas to work with us in special community events in which we attempted to broaden the values conversation to include the issues and challenges presented by poverty and its causes. Jim's best-selling book, God's Politics: Why the Right Gets it Wrong and the Left Doesn't Get It, is just out in paperback with some new material included. Writing this book changed his life. Even more, it changed the conversation in America. Find out what Jim feels are the 10 most important things that have happened since the book was first published by going to: http://www.beliefnet.com/blogs/godspolitics/2006/10/jim-wallis-top-ten-gods-politics.html. At times, very cold and unforgiving. In my crazy part of town. Stands watch above the rush. And, at times, pure joy observed. So, how's the housing market if you're poor? Julia Easley, of Children's Medical Center here in Dallas and editor of the bi-annual Beyond ABC report on the state of our community's health, especially as it relates to children and families, shared with us last week the following preliminary finding on one "indicator" of community health. It was good to have her mention our affordable housing efforts in this part of her very useful report. Indicator: Number of affordable housing units changed to market rent. Data Source: Texas Tenant’s Union, Section 8 Opt Outs and Terminations in Dallas County, 2004. Across the nation, the stock of affordable housing is decreasing as a result of changes in federal policy. Property owners are paying off low-interest HUD loans and opting out of government-subsidized housing programs. While many tenants receive vouchers when the property converts to market-rate housing, many others face increases in their monthly rent of 50 percent or greater and we are losing an important supply of decent low-cost housing. More than 9,937 affordable apartment units in Dallas County have been lost since 1996 as their owners dropped out of their Section 8 contracts and/or prepaid their HUD-insured loans. The number of new affordable housing units being created has not replaced the number of units lost in the past eight years. 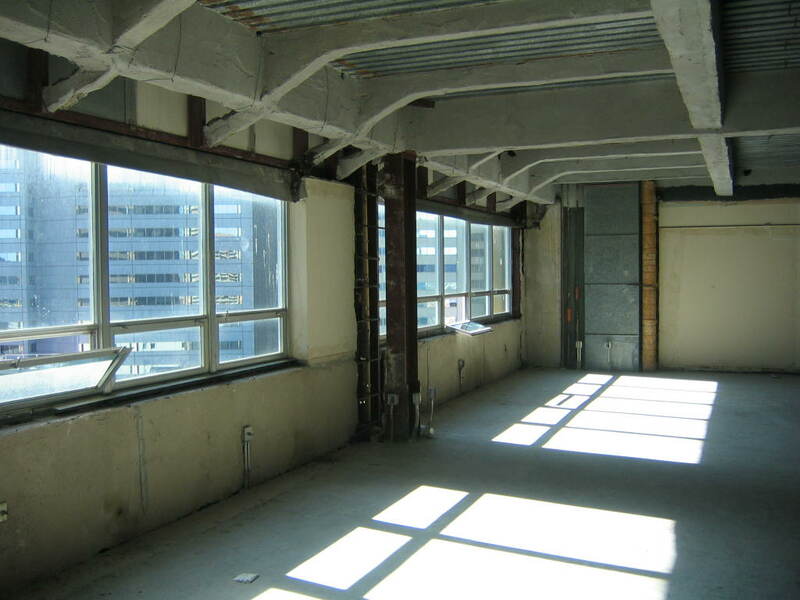 The trend of opting out has slowed as the majority of older properties dropped out of Section 8 contracts when the option was first available. 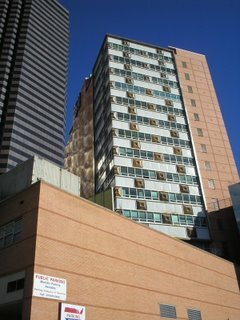 The 2006 Joint Center for Housing Studies at Harvard University estimates that between 1993 and 2003, approximately 1.2 million affordable housing units were lost nationally. The report further indicates that the number of Americans paying more than 50% of their income for housing increased 1.9 million between 2001 and 2004. Housing advocates support federal proposals to establish an Affordable Housing Trust Fund for construction of new housing and to help families with low incomes purchase homes. The fair market value (FMV) for a two-bedroom apartment in Dallas County was $868 for 2005 according to the Department of Housing and Urban Development. Out of Reach 2005, an annual study conducted by the National Low Income Housing Coalition, concluded that a full-time worker must earn $14.94 an hour, 290 percent of the minimum wage, in order to afford Dallas County’s fair market rent for a two-bedroom apartment. Forty-two percent of the renters in Dallas County are unable to afford that fair market rent. 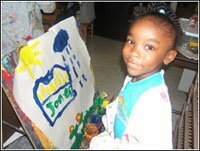 In 2002, Central Dallas Ministries created the Central Dallas Community Development Corporation which seeks to provide affordable housing to create an economically diverse neighborhood. Currently operating over 40 units of affordable housing, the CDCDC will break ground on a 237-unit apartment community in late 2006. Also in the plans is renovating the 511 N. Akard building in downtown Dallas, creating 200 affordable housing units. 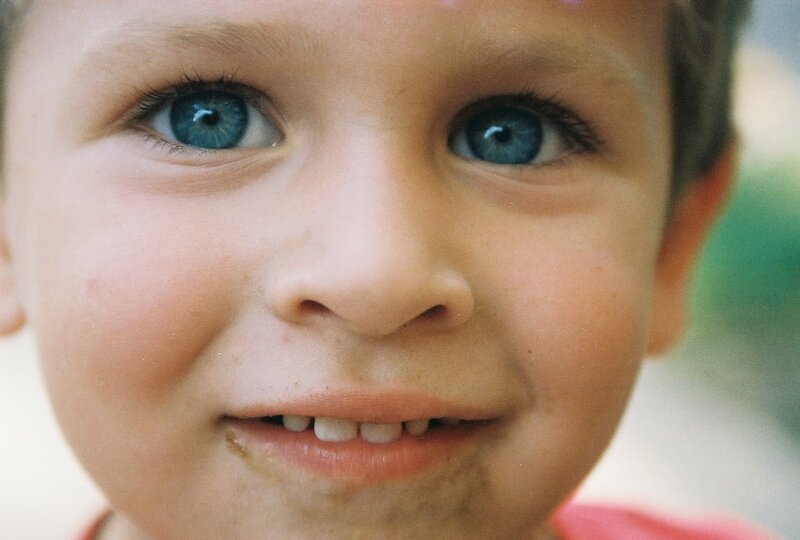 The Children's Defense Fund recently published very useful information about the status of children's health here in the Lone Star state. I wonder if you knew that. . .
Texas has the highest rate of uninsured children in the nation, with 21.6% or 1.4 million children lacking coverage. Almost 90% of these children have at least one working parent, but health coverage is too expensive for the families to afford. According the the Texas Department of Insurance the average premium for family coverage is $933 per month. Texas has the highest rate of uninsured full-time workers in the nation, with 25.1% lacking health coverage, compared to the national average of 15%. Over 700,000 Texas children are eligible for, but not enrolled in the Children's Health Insurance Program (CHIP) or Medicaid. For every $1 invested by the state in CHIP , Texas receives $2.63 in federal matching funds. Senator Kay Bailey Hutchison reports that by not fully funding CHIP the state has lost more than $700 million in federal funds paid in taxes to Washington for this purpose. The state's failure to draw these funds back to Texas means that dollars meant for Texas are now at work caring for children in New York, Oregon, Minnesota, Pennsylvania, Mississippi and any number of other states. Bright, huh? As a result of cuts approved by the Texas Legislature, CHIP enrollment has dropped by 215,729 children since the cuts took effect on September 1, 2003. According to the Kaiser Family Foundation's latest report on Medicaid, spending for this health benefit for low-income Americans declined in 2006 for the fourth consecutive year. I think we ought to be doing better than this. Truly effective leaders don't live or work for themselves. They have much larger visions in view as they make decisions and allocate their available resources. Leaders stand in the gap between and among conflicting points of view and opinions and they attempt to arbitrate, reconcile and bridge. Leaders never give up hope or their calling. Leaders continually give up their personal rights to achieve the larger ends of the group they compel and seek to influence. Leaders point the way and take the first steps in the right direction themselves, but have a way of receding, of disappearing so that others may take credit or be advanced for the sake of the common mission. Leaders challenge, mold, guide, negotiate, praise, critique, evaluate, listen, persuade and champion. . .but never for their own advancement or advantage. Leaders lay down their days for the cause, the mission to which they gladly commit themselves. Leaders expect to be interrogated, even vilified. They know that their motives will be questioned, that others will block and distort their efforts. Leaders understand that others will question their sanity, their intelligence and their strategies. Leaders don't tolerate self-serving praise or individual promotion. Leaders often bear the rage of others. When necessary, leaders protect and shield those whom they lead. Leaders allow for and even expect failure in those they serve and lead. Leaders survive the gossip of opponents. Leaders seek justice, hope and the good. In times of victory, leaders pass the credit on. In times of defeat, leaders accept the blame. Leaders like nothing more than anonymity, retreat, and reclusive moments of quiet and reflection in isolation. Leaders dwell in a place of personal, psychic security while serving those dominated at times by great insecurity. Leaders embrace their limitations, their mortality. Leaders understand the art of dying to self. Leadership prepares a person for the ultimate passage of life. Help CDM Sell Out the Meyerson Symphony Center!!! Monday night, October 30, award winning country and Bluegrass super-star, Vince Gill will perform in a benefit concert in support of the work of Central Dallas Ministries. The venue will be the magnificent Morton H. Meyerson Symphony Center. Doors will be at 7:00 p.m. The show begins at 8:00 p.m.
Sponsorships, complete with admission to a pre-concert reception, are still available for those wanting to become partners in urban ministry and renewal with the CDM team. Contact Jenny Fogel at 214-823-8710, ext. 117 for sponsorship information. Help us sell out the hall for the sake of thousands of inner city residents who work with CDM in an effort to create better lives for themselves and their children. For more details on this wonderful evening visit our website at www.CentralDallasMinistries.org. Thanks to everyone who has helped us so far in our on-line, blog campaign to paint 100 of our little houses green (see upper right hand corner of this site). Each little green cottage represents $1,000 donated to support the community development work of Central Dallas Ministries. To find out more about the project and to learn how to participate, click on the information links above the "neighborhood" of little houses. Currently, we have 81 houses still to paint! Help us "fix up" our community by sending your donation today. If you intend to vote in this year's national election on Tuesday, November 7, then you need to realize that this coming Tuesday, October 10, is the final day to register to vote! You are registered, aren't you? If you aren't, please make sure you register before the end of the day on Tuesday, as in tomorrow! Voter registration cards are available at your post office or at many government buildings where you reside. I can't tell you how to vote. I can tell you that if you have any regard for our democratic values and the way of life we hold up to the entire world as a model, you certainly should vote. No matter what you think of the current war, the Iraqi gentleman shown above with his vote- stained fingers lifted in the sign of victory should challenge us to take part, don't you think? Let your voice be heard in November. Make sure you are registered to participate. So much for my confident prediction of a "subway" series on New York City pitting the New York Yankees against the New York Mets. The Mets could still make it to the World Series, but the upstart Detroit Tigers sent the Bronx bombers packing Saturday afternoon with an impressive, even inspirational 8-3 win behind the strong pitching performance of right hander Jeremy Bonderman. Bonderman retired the first 15 batters he faced. Craig Monroe's two-run homer propelled Detroit to its largest offensive attack of the series, sending the Tigers to their first postseason series victory since the 1984 World Series. We watched ex-Texas Ranger, Kenny Rogers pitch a masterful Game Three for the Tigers. His catcher was Ivan "Pudge" Rodriguez, another former Ranger. What a win for a city much in need of a win of just about any kind! Tigers' manager Jim Leyland played aggressive baseball throughout the 4-game series against the Yankees. After the loss in Game One, the critics were out to get Leyland. However, in typical style, Leyland stayed with what he knew would give his team the best chance of staying with New York. In Game Three Leyland's aggressive play resulted in a second win. The boo birds disappeared. Detroit moves on to play the Oakland Athletics in the American League Championship Series that begins next Tuesday night in Oakland. Hard not to be happy for the Tigers and their loyal fans. I know the Tigers' win pleased my co-worker, Keith Ackerman. He, like my young friend Chris Field, has his fingers crossed for a Tigers-San Diego Padre series! Could happen. 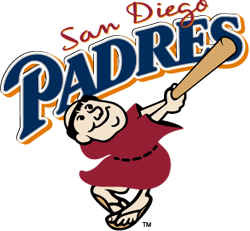 The Padres are hanging on against the Cards. . .baseball is so great! Ridin' the bus. . .
Friday I spent most of the day in a work session with all of our program/department directors here at Central Dallas Ministries. To leave our meeting with clear, measurable, understandable outcomes measures for the work we attempt to accomplish every day in the city. Not as easy as it may sound. But, we made great progress because of the quality of our team. 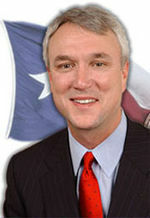 Collins’ experience teaches him that where the bus is headed is not the first question to answer. The more important concern is to make sure you have the right people involved. If you have assembled the right group of riders, they will figure out where to drive the bus. This sounds a lot like the philosophy of legendary Dallas Cowboys coach Tom Landry. Landry always drafted the “best player available” regardless of what position the athlete played or what positions the team needed to fill. Landry knew that finding a quality person was more important that drafting only to fill positions. If that sounds backwards, it is because most organizations start with an objective and then hire people in an attempt to achieve what has already been planned. Collins’ study of truly great organizations reveals that a better approach, inside broadly defined areas of concern or mission, is to recruit quality “riders” who will then continue the work of mission-shaping and execution, or driving the bus where they determine it needs to go. Collins’ wisdom assumes that great organizations are open to lots of input, criticism and “on the move” evaluation. Such organizations often seem chaotic and they depend on teamwork to be successful. As I looked around the room Friday, I realized again just what a high quality team we have assembled. The energy in the room throughout the day and in the various exercises we engaged was palpable. We have dedicated, hard-working, focused leaders here. I’m really grateful to be on the bus with this crew! Coming to grips with urban despair. . .
Years ago, when I was a graduate student in the History Department at Tulane University, I spent most of my research time buried in primary documents related to the life conditions of African American slaves in the American South. My special emphasis had to do with how slaves related to life inside the white church. It became clear to me that faith provided these oppressed people a source of hope in the face of grave and tragic difficulty on a day-to-day basis. Slaves endured unimaginable cruelty at the hands of countless white slave drivers and owners. The religion of African Americans in the antebellum South provided solace and direction through the horrors of life in the slave South. Most of the time slaves retreated into their faith to cope with the abuse and injustice. Occasionally, the slave community would erupt in rebellion against the unfair, cruel and harsh restraints imposed upon its members--men, women, children and entire families. Slave revolts were fairly uncommon, but there were significant eruptions of violence over the course of this bleak period of our national history. Oppressed peoples eventually react to what they suffer. They also usually depend upon a deeply rooted spirituality to cope with the realities of life in any oppressor state. It seems to me that most people never consider the oppressive impact of poverty on modern urban population centers in the United States. Thankfully, the days of slavery are behind us. But the effects of poverty in our urban centers endure. Various social and community maladies endure among the poor because of the despair that attends any environment largely defined by generational poverty. Crime, unemployment, teenage pregnancy, high drop out rates for students, deteriorating housing stock, disrespect for traditional seats of authority--the list of issues is not short. Any effort to understand causes, effects and solutions must transcend traditional emphases on individual effort or simple personal responsibility. Despair, a lack of hope works itself out in behavior and in social consequences. Despair also leads people to retreat deep into the world of faith as they seek relief, answers and remedies for hopelessness. Breakthroughs and progress will follow concentrations of effort and redefinitions of faith by the larger communities involved--both poor and rich. Gospel and Wealth. . .??? The role of the church in validating our materialistic culture, as over against those prophetic churches that challenge congregants to be involved in changing communities, provides an extremely provocative contrast. 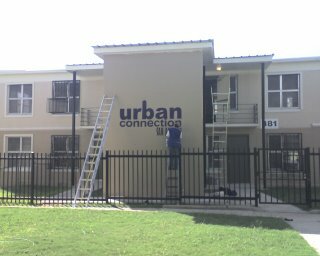 A helpful volunteer paints our logo on our new building inside the Lincoln Heights Courts, a San Antonio Housing Authority (SAHA) property where we have been working since 2003. Urban Connection--San Antonio will occupy the building this week! The new building will allow our great team in San Antonio, led by Leslie Kelsie-Grubbs, to quadruple its space! UC-SA has been working with the families who live inside the public housing development, as well as those who live in the surrounding West Side neighborhood. The area is one of the poorest and roughest in the city. Thanks to Leslie's faithful, visionary leadership UC-SA has grown dramatically in a very short period of time. 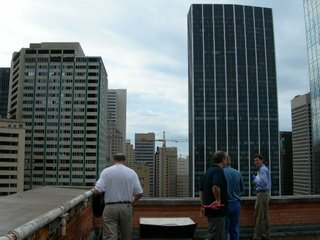 UC-SA will become a separate 501 (c ) 3, non-profit corporation in 2007, but will remain a vital part of the Central Dallas Ministries family of urban ministries and organizations. UC-SA works hard at community organizing, providing emergency assistance to individuals and families in need, employment training and placement, overall case management, after school and summertime programming for children and individual and community spiritual development. If you are ever in San Antonio, stop by for a visit! It happened to me again last Sunday. I spoke to a church in the northwest part of the Dallas side of the Metroplex. It amazed me as I drove through the rapidly developing area. It had been almost a decade since I had driven this particular stretch of Texas highway 114. What had been a country road is now an almost fully built up suburban community. The obvious wealth and the economic development startled me. As I drove, I thought about South Dallas and parts of far East Dallas. I thought of my own neighborhood. The contrast is, well, stark is the best way to characterize it. Unregulated capitalism always results in dense concentrations of wealth and opportunity. Unregulated capitalism always results in dense concentrations of poverty and economic dead ends. I realize that I was just driving through. But, I saw no evidence of any attempt to mix the housing stock. I spotted nothing that would qualify as "affordable housing," even given the very liberal definition used by government officials, planners and funders. Again, my mind returned to the impoverished neighborhoods that I know so well here in inner city Dallas. No one, so far as I can tell, is doing anything significant to incentivize new development in our poor neighborhoods. No one can be regarded as really serious about the problem. Nothing will change without some intentional planning, funding and commitment to see things change. Right now our larger community--urban, exurban and suburban--is being defined and shaped for at least a generation to come by unbridled market forces that allow for the most, the easiest and the quickest profit in all developments. People who are attempting to bring new opportunities to low-income parts of the larger community are having to work super hard and are forced to take extraordinary measures and accept tremendous risks to get anything done. Walter Rauschenbusch, speaking of the "profitableness" of evil wrote, "Ordinary sin is an act of weakness and side-stepping, followed by shame the next day. But when it is the source of prolific income, it is no longer a shame-faced vagabond slinking through the dark, but an army with banners, entrenched and defiant. The bigger the dividends, the stiffer the resistance against anything that would cut them down. When fed with money, sin grows wings and claws. " Greed is a powerful force in a community like this one. Impersonal greed--the kind created by an impersonal and thoughtless economic system, the type that provides respectable "cover" for individual participants and beneficiaries--grounded in similar economic theory is down right cruel and results in catastrophic outcomes for the poor people who also live and work here. Wilderness Trek: Celebrating 30 Years! Saturday evening I spoke at the Gala of the Stars staged here in Dallas (Richardson, to be more exact) to celebrate the 30th anniversary of Wilderness Trek Christian Camp. Edd Eason, my long time friend and partner, and minister to thousands of youth and adults in every imaginable life stage and situation, serves as Executive Director for Wilderness Trek Christian Camp. The position is Edd's dream job. 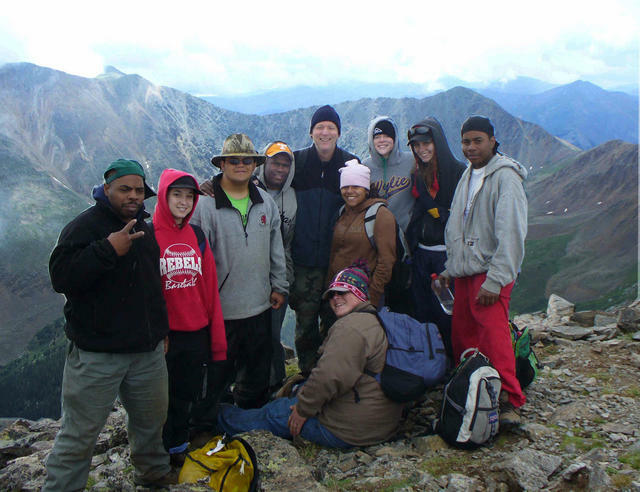 When we worked together as a team at the Richardson East Church of Christ in Richardson, Texas, Edd led at least one group of teens and adults on a mountain climbing, backpacking expedition via Wilderness Trek every summer. Often we sponsored more than one trip. Edd joined us at Central Dallas Ministries for three years. 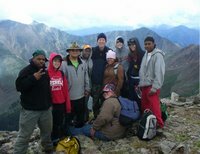 While serving as one of our Assistant Executive Directors, Edd arranged for scores of inner city youth to receive scholarships for participation in Trek during several summers. Now that he leads Wilderness Trek, the urban scholarship program has grown dramatically and reaches urban youth in a number of major American cities, including, thankfully, Dallas. It was a treat getting to share Edd's big night with over 100 friends and supporters of Wilderness Trek. Central Dallas Ministries had a table for the evening that included four of our teens who have taken advantage of Trek's programs. What a tremendous cause! Trek's benefit to urban youth is inestimable. Check out the website at www.wildernesstrek.org. You'll notice that Edd has other anniversary celebrations/fundraisers planned between now and the end of 2006. If you live in one of these areas, I urge you to get involved. Thanks, Edd. I love you, man. You are truly one in a million!